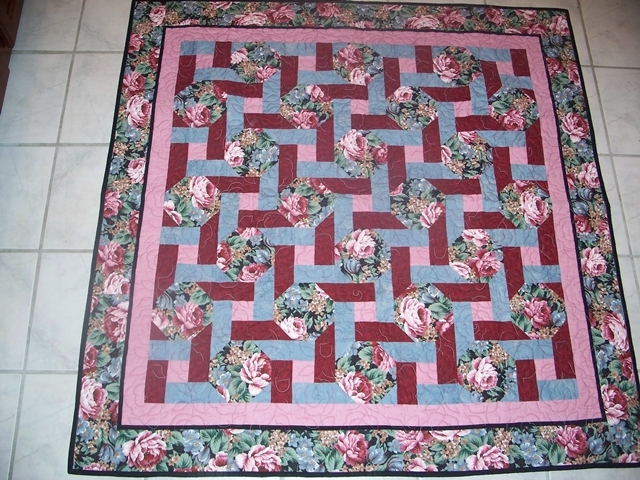 Several years ago I saw a quilt hanging in a LQS and it was alternating snowballs and 9-patch. Anyone know the name of this pattern. Thought it might look cute in a baby quilt. Last edited by ghostrider; 07-14-2013 at 05:14 AM. i love the snowball and nine-patch. it makes a great secondary pattern. i've done 3 and each looks totally different from the next. Would make a great baby quilt! Thanks, the second one is the one I remember. 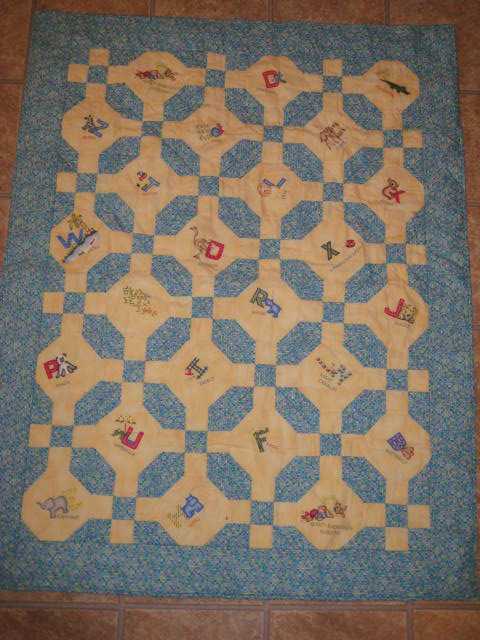 Here is a baby quilt I did a few years ago. 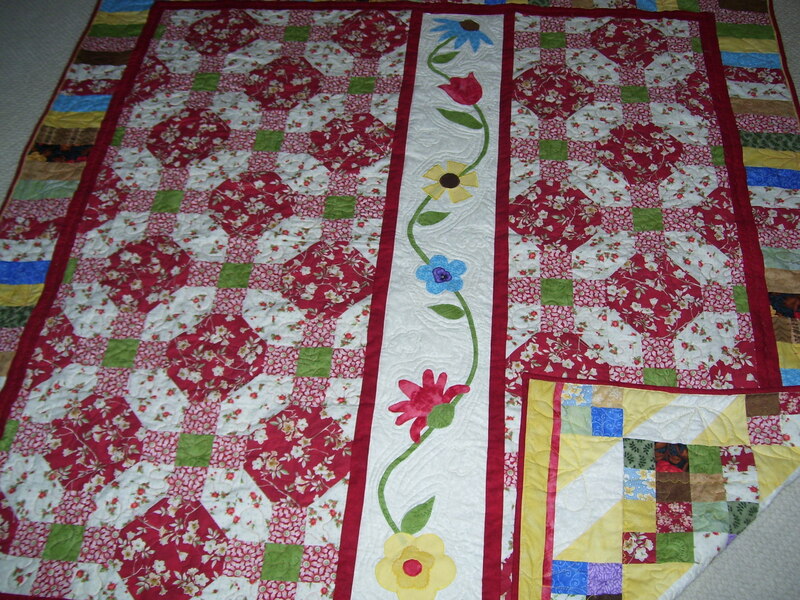 The fabric choices and placements, as in any quilt we make can make, snowball/9patch look sooo different. I like both, but really like the first one with the blocks set on point! Always like the simpleness of the 9-patch block....and love it set together with snowball blocks. Both those quilts are beautiful! Amazing how combing those two patterns makes a wonderful design. Here's one that I did. It's slightly different in that the 9 patch forms rings that circle the snowball blocks, changing the look. Perhaps this is what you are referring to. I found the pattern in an old quilt book. I would have to look for it to find out the name but I will if you want. What an amazing array of layouts of the same two blocks, in so many different looks and feels. Sheez! now I "gotta" make one of each layout! I can't remember seeing this combination of blocks before, I love the look....I should say "looks"! So many different ways to arrange and make them look so different. I will absolutely be making this quilt.... just have to decide how to arrange mine! All these quilts are beautiful, and I agree they would make a wonderful baby blanket. dollyo, I love that layout. It looks much more complex than it is - my favorite kind of pattern. Very pretty. I believe it is snowballs and 9 patch. 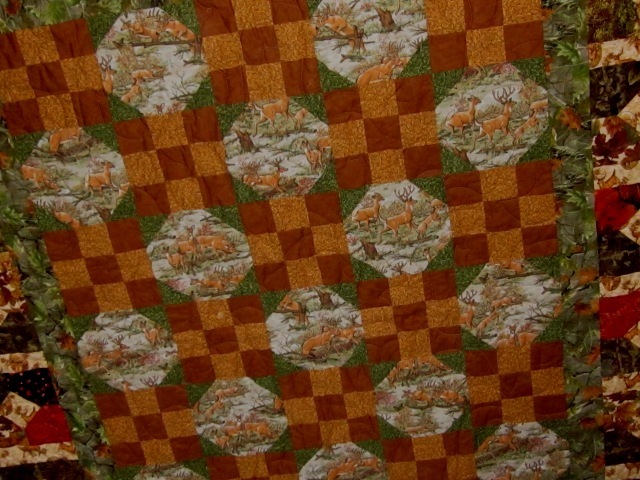 I have lost count of how many baby quilts I have made using this pattern - it's quick and always makes a beautiful quilt. I am machine quilting a 9 patch, snowball quilt on point done in depression prints. I love how they go together. The Quilt Index has far more than the two examples I referenced above. They have, in fact, 83 examples of Snowball and 9 Patch quilts, and variations thereof, in their database. The MSU Quilt Index is an awesome reference, well worth bookmarking if you have an interest in quilt history or heritage. Wow! You're not kidding! Thanks for that link! That's all I've ever heard it called.